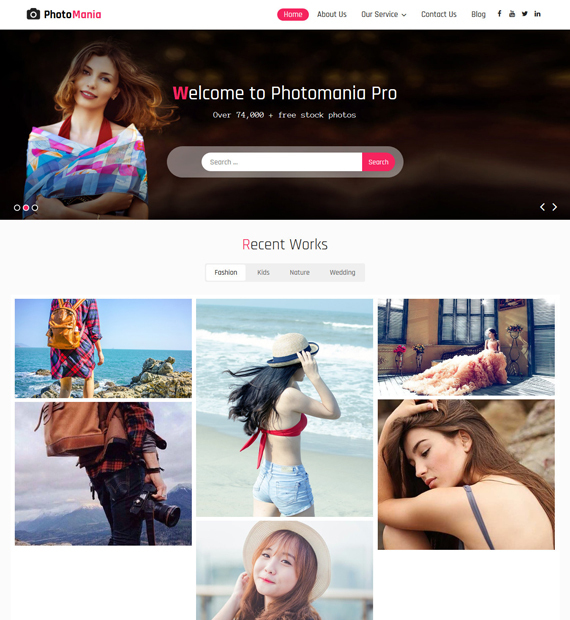 Photomania is a beautiful looking and responsive WordPress theme that was built to provide a refined and modern look for photography websites. With its ability to show off images in an attractive manner, this theme will be especially helpful to creative types. Photomania isn’t light on features either and comes with Pagination Options, Slider option, Featured Slider, Custom CSS, Custom Widgets, etc so that you can add your own flair to the website. A WordPress beginner? No worries. You can simply configure and customize the theme without touching any code – feel the simplicity and highly intuitive interface like never before.